Not only is it super fun to dress someone for a special occasion but it’s double the fun when you get to help sisters chose dresses! 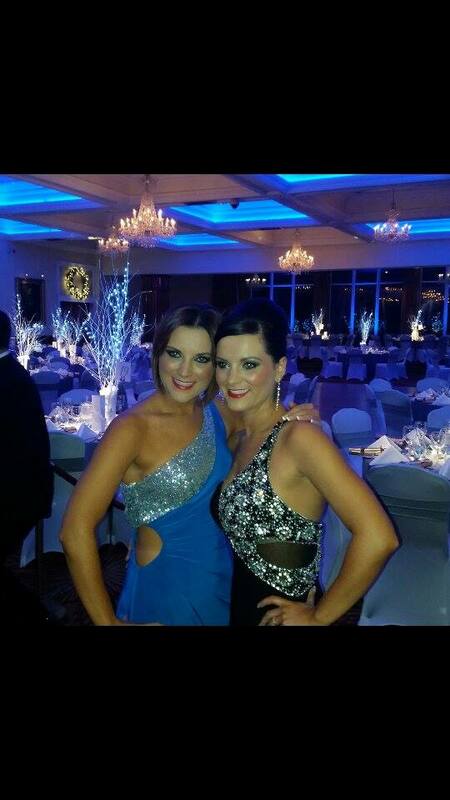 Mandy (right) and Laura (left) look absolutely stunning in these full length gowns ….. Anyway, I think we found absolute winners in the electric blue and silver sequin style with cut out and side split as well as the striking black jersey dress with heavily beaded bust and mesh side cut out. Both girls look elegant and stylish and I’m looking forward to hearing all the gossip from the night when they return the gowns this evening! Dresses are available for hire in sizes 6/8 from Belle Dress Hire at a cost of £80 plus an additional £40 security deposit which is given back when the dress is returned undamaged. Please see the website www.belledresshire.co.uk for more information. This entry was posted in Dress Hire Belfast and tagged belle dress hire by Leeanne. Bookmark the permalink.